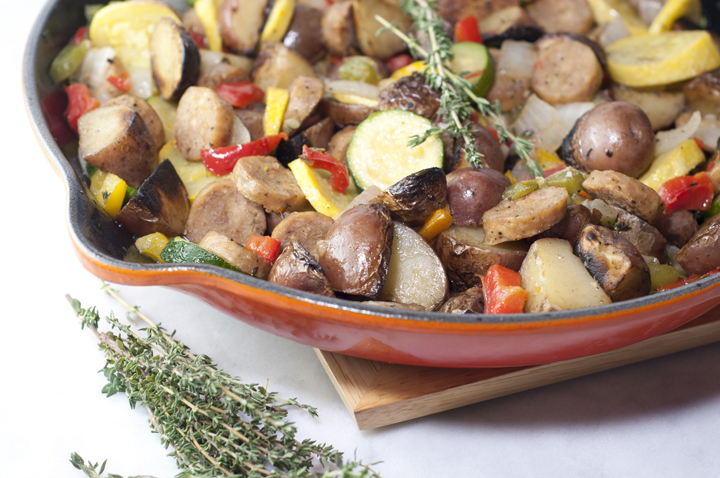 Sizzling Sausage and Potato Summer Vegetable Skillet full of healthy, delicious in-season goodness. This is an easy, fresh side dish recipe or gluten-free dinner idea! I bring you…summer on a plate. Hi there, everyone! It’s taken me a few days to come out of holiday weekend mode but I’m back with the recipes and the regularly scheduled program. I gave you a roundup of no-bake desserts earlier this week that I hope you enjoyed, but I’m following the sugar rush up with a nice, healthy recipe today. So, I’m a creature of habit and when I find a brand I like when it comes to certain foods I cook with, I always tend to stick with it for the long haul. 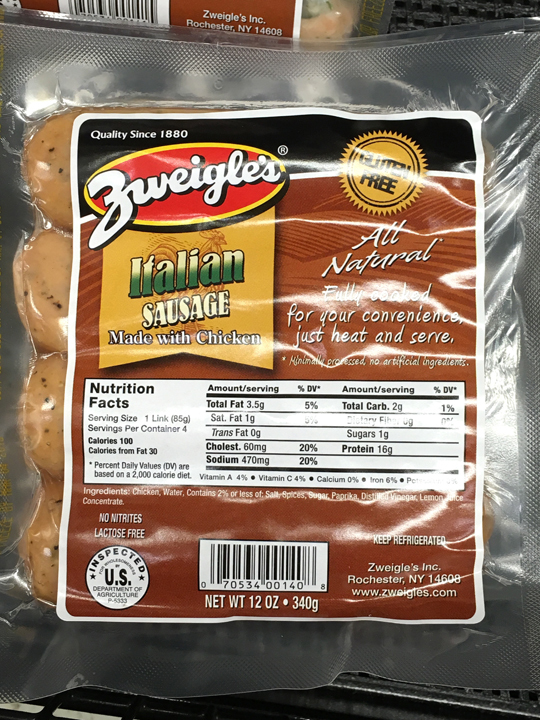 Zweigle’s chicken sausage is one of those brands. I use it almost weekly when I want to add a healthy protein to any dish I’m whipping up. Any dish that calls for pork or turkey sausage can be swapped out for any variety of Zweigle’s delicious chicken sausage. Bonus: Zweigle’s is a local company and their products have been a part of my life since I was a little kid! Love them….LOVE. In fact, I just enjoyed one of their white hots on Memorial day. Something I don’t love? Summer squash. Then why did I use it in this recipe, you ask? Simply for the purdy color and texture. I will admit that I picked every last piece of summer squash out of my dinner. Do you ever just have a food you despise no matter how it’s cooked or how well-seasoned it is? When I was little, my mom used to make me eat this horrid vegetable and I would have to sit there at the dinner table being absolutely tortured for however long it took me to finally choke it all down. It’s wonderful being an adult and having the ability to pick and choose what you eat or don’t eat, isn’t it? This Sausage and Potato Summer Vegetable Skillet is similar to something I have made several times over the years, but that dish was solely veggies. For this skillet dinner, I added sliced Zweigle’s Italian Style chicken sausage in order to make it a complete meal. It tastes like summer and is made all in one skillet. Since it’s healthy, it leaves me room to consume lots of empty dessert calories afterward. That, my friends, is a win in my book. 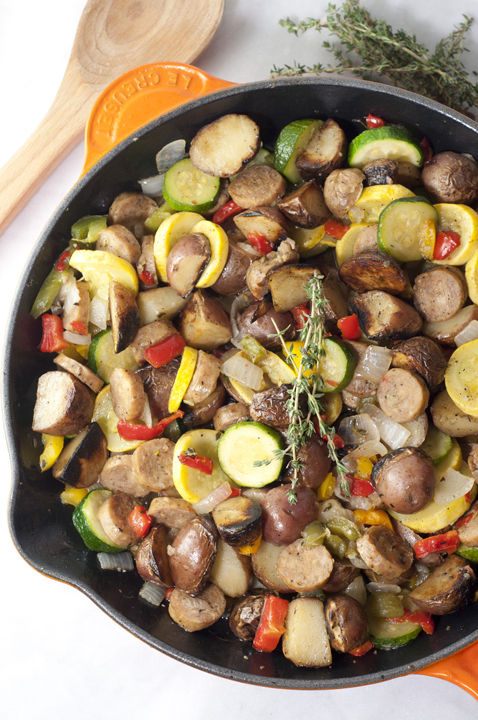 This Sausage and Potato Summer Vegetable Skillet is very customizable so feel free to modify it according to your favorites. For a twist, add quarters of fresh tomatoes and serve with crumbled feta on top. It’s a great way to use up any leftover veggies you have sitting around. You can even add a fried egg on top! I’m thinking I may add some sliced apples next time I make this. Here’s a little tip for cooking this up: you can also use pork or turkey sausage. It would also make a great freezer meal! This can stand on it’s own as a meal, but feel free to serve a side salad with it. 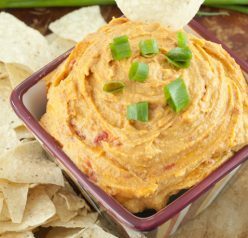 You can get great recipe ideas and purchase Zweigle’s products at your local grocery store or online by heading on over to Zweigles.com! Disclaimer: Thank you Zweigles for sponsoring this conversation. All opinions remain 100% my own, as always. 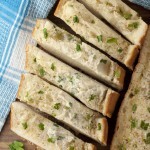 What a gorgeous and easy recipe! I love summer squashes too! Can’t wait to try this recipe. 🙂 As always, thank you so much for sharing. I’m not a fan of summer squash either (was also tortured to eat those as a child). But, I do love them in muffins and quick breads – with chocolate of course! This looks like a lovely veggie skillet and perfect for a backyard cookout! Sausage stir fry is one of my go-to staples when it comes to quick & easy dinners. Love the potatoes in here! I’d pick out the summer squash too, but I love the color that it gives the dish. Love the idea of this, great way to use up some summer veg! My kiddo would gobble this up! Love all the veggies in it. It looks beautiful! 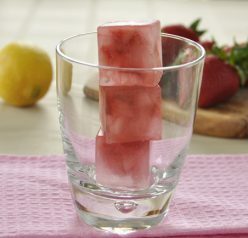 Ashely, this looks SO delicious! I could eat the whole pan by myself! This dish has my husband written alll over it! Love the simplicity and the flavors happening here. That’s my kind of skillet! I’d be all over this!! I LOVE the look of this skillet. It’s so pretty and totally perfect for summer. I’ve been making something similar for years, but I love your additions of spices and bell peppers. I bet this has great flavor! This looks SO good! I did a chicken sausage pizza last month that was awesome and love finding new ways to use it! Loving this summer dish! Can’t wait to try it out!